Leave your comfort zone (= sofa?!) and join us at the extra - ordinary Panda Club. 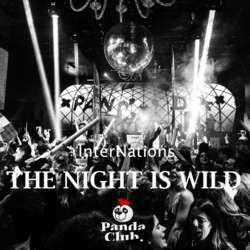 Get ready for international vibes at the hottest nightclub in town! Join Expats and global minds for networking from 21:00h-23:00h (= music at low volume) and let the party happen when midnight gets closer. Hit the dance floor and enjoy a wild night!